There are 20 indian restaurants near this property within 0.8 km. Easy Connectivity: Rome Termini Station is 0.3 km from the hotel. There are 20 shopping malls near this property within 0.6 km. 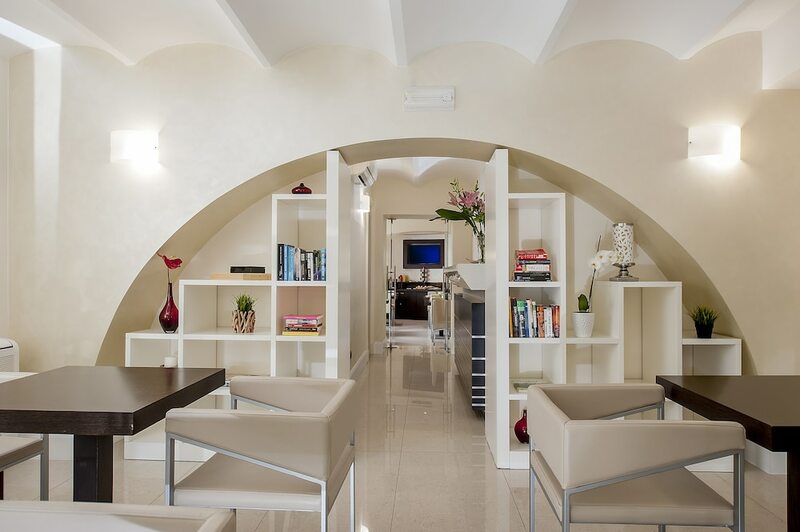 Located on Cavour Street in the centre of Rome, Bettoja Hotel Atlantico is just 5 minutes drive from Piazza Venezia. 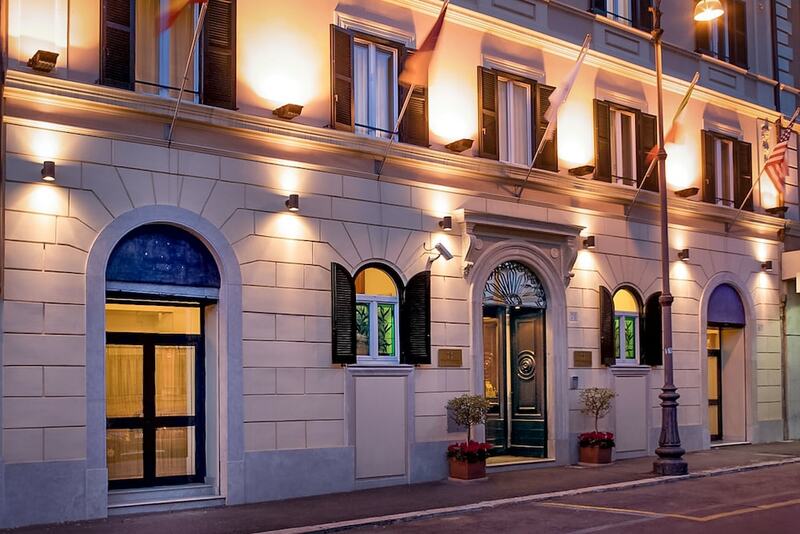 Travellers can access the hotel in merely 2 minutes walk from Termini metro station and 30 minutes drive from Leonardo da Vinci International Airport. The National Roman Museum is at a stroll of only 5 minutes from the hotel. Dedicated assistance for tours and general concerns is offered by the learned staff at the 24-hour front desk. 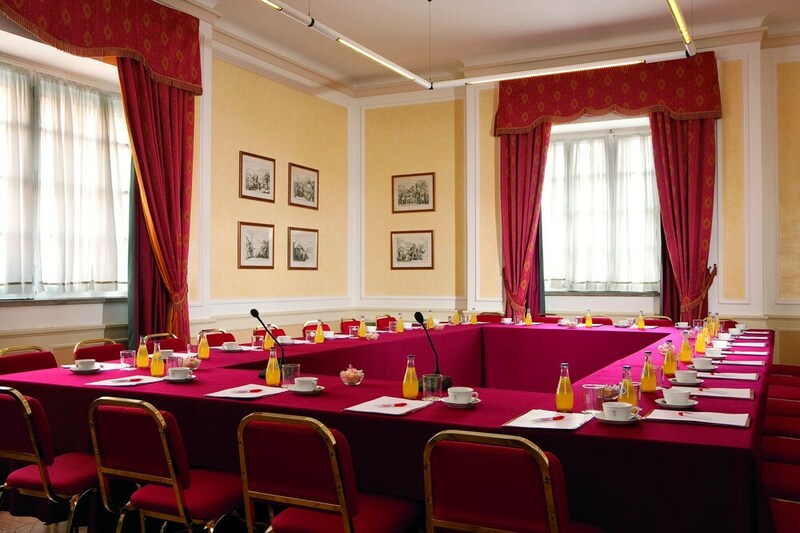 The two functional meeting rooms with a capacity of 65 persons are ideal for business and private gatherings. 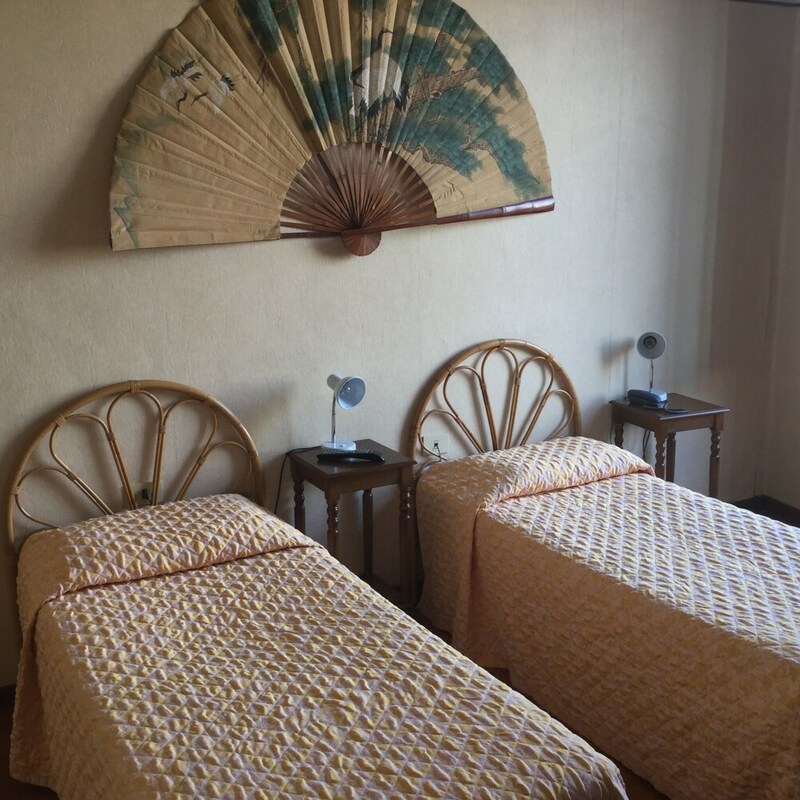 To make the stay more delightful, the hotel offers facilities like business centre, gym, luggage storage, laundry, concierge, babysitting, car rental, parking, laundry and free Wi-Fi access. Adorned with antique wooden furniture, the 69 rooms are thoughtfully decorated in contemporary style. 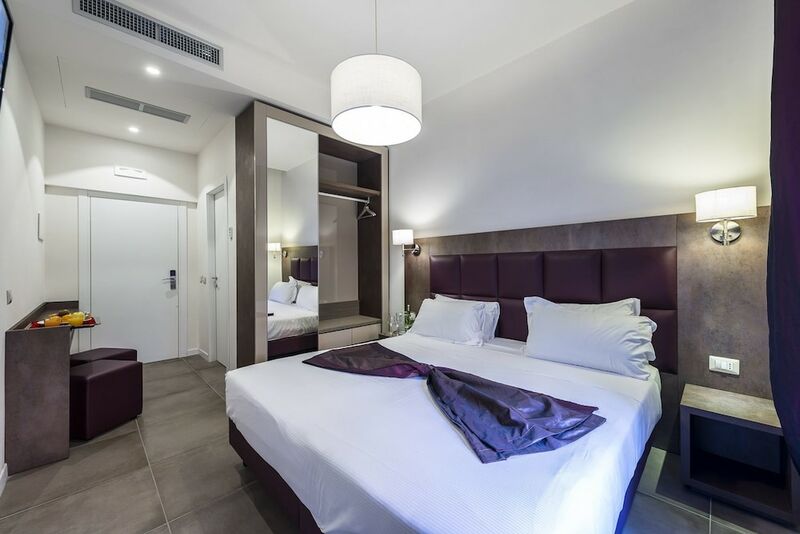 Spread over five floors, modern rooms come with air conditioning, telephone, satellite TV, direct dial telephone, mini bar, personal safe and free Wi-Fi access. 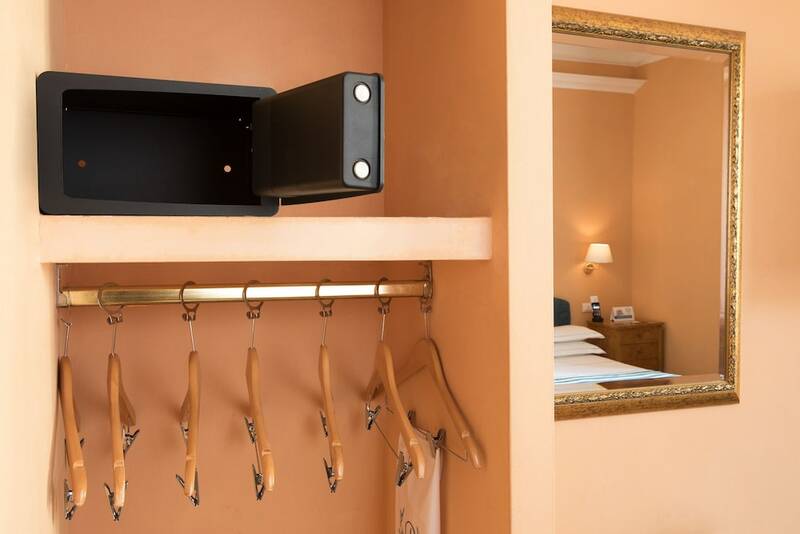 Private bathrooms have shower, bathtub, hairdryer and essential toiletries. Kick start the day with nutritious dishes served at the breakfast room each morning. 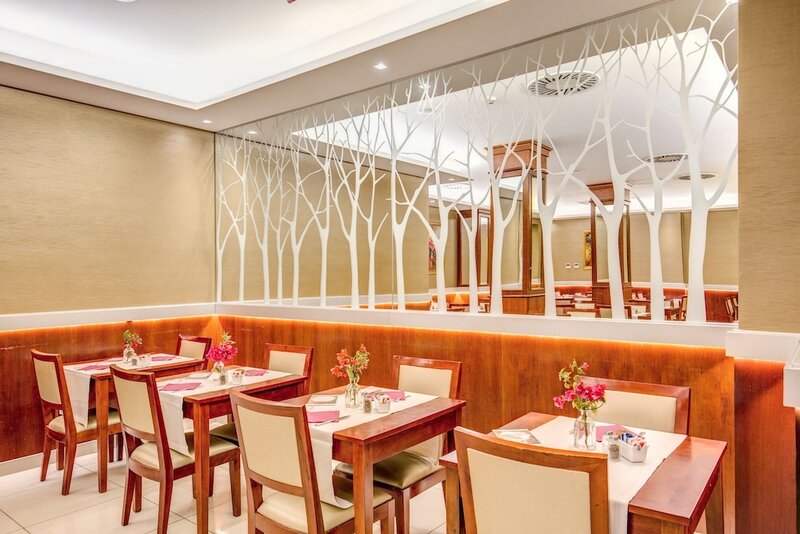 To relish traditional Italian delights, step-in to the on-site 21 Restaurant. In addition, the hotels Lobby Bar offers exotic cocktails, spirits and refreshing beverages. Lovers of Indian food can make their way to New Delhi Indian Restaurant, just 10 minutes walk from here. 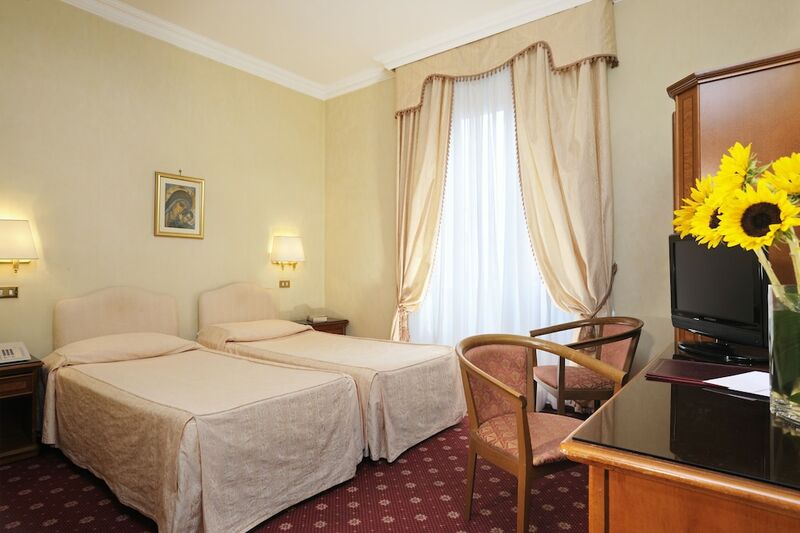 Enjoy eye-pleasing views of the magnificent Trevi Fountain, merely a 7-minute drive away. Deal Applied: MMTNIHM7A. You Get Flat INR 2417.0 OFF! Deal Applied: MMTNIHM7A. You Get Flat INR 2596.0 OFF! Deal Applied: MMTNIHM7A. You Get Flat INR 2685.0 OFF! Deal Applied: MMTNIHM7A. You Get Flat INR 2588.0 OFF! Deal Applied: MMTNIHM7A. You Get Flat INR 2780.0 OFF! Deal Applied: MMTNIHM7A. You Get Flat INR 2876.0 OFF! No water complementary with limited access to toiletries, expensive stay as we were charged extra for city taxes. Food was pathetic was cold frozen ones. As I am an Asian I prefer at least my coffee to be hot not like warm. Hotel staff speaks only french understand only sign language I suppose. If I ask for hot coffee that gave a demonstration of coffees, milk and water. Not properly trained. Breakfast had a limited options. Pathetic pillows as there was no fill inside them. AC was normal and was sweating whole night. All in all not a comfortable stay at all. 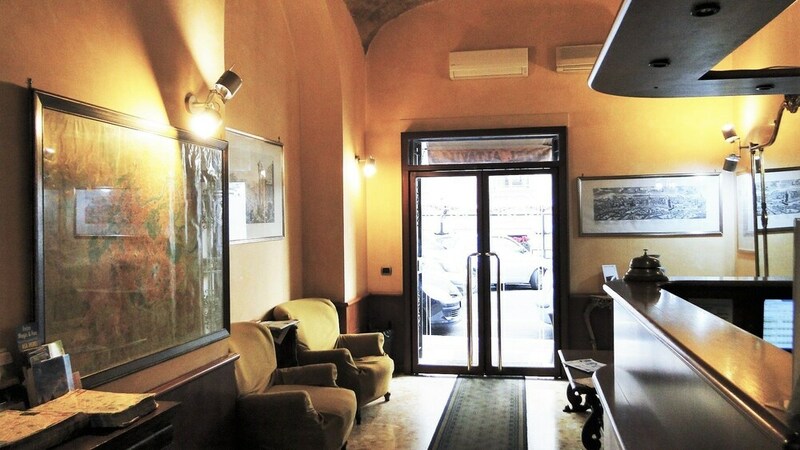 Only positive point is the location and its access to Termini station. No complementary water was provided, no flask, very bad pillows and was charged for city taxes per person per day. Location was fine but had a horrible breakfast arrangements. Hotel staff was very friendly. Hotel is stone throw away from Termini train station and this is by far best feature of this hotel. All popular places including Colosseum is short walking distance. Hotel elevator makes you nostalgic of old times Rooms can surely be renovated to give them more contemporary look. Our room A/C wasn't in best condition, but it wasn't a big irritant. Budget travellers should book this hotel in advance as room availability is limited. This is a stone's throw from termini. Making it an ideal place to stay and as a starting point for your day. Rooms feel old but are clean, spacious and functional. Air conditioning was OK. Could have been better. I like fans in the room but are seldom available. Flush didn't work. Bathroom was clean. 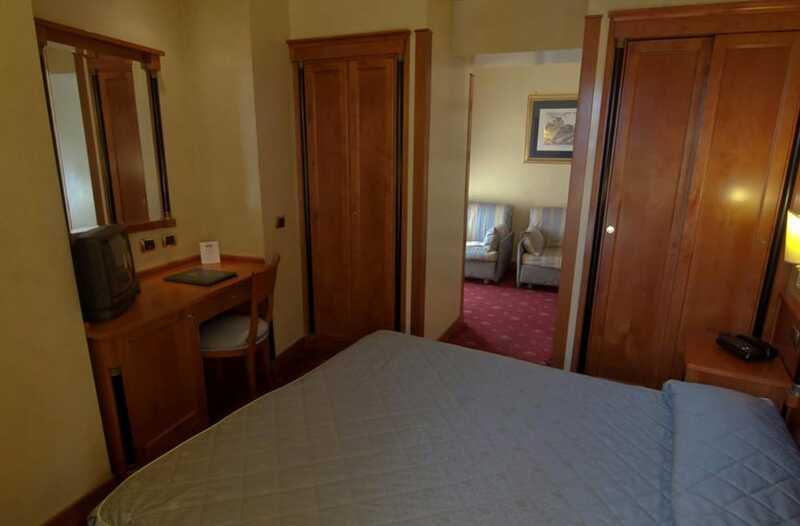 The Good - The location of the hotel is excellent, it is a 2 minutes walk from the station and within walking distance to the touristy parts of the city. The Front desk guys were really friendly and helpful. The delight was that they were able to give us an early check-in which was much appreciated. The guidelines and directions which they gave were also useful. The room and services were standard. Room was big by European standards and had a bathtub. The breakfast was good and everything was hassle free. Hotel room too small. This hotel was booked considering it is a four star hotel. Breakfast was included but we always had to wait 20 to 30 min. Hotel was ill equipped to handle summer rush.